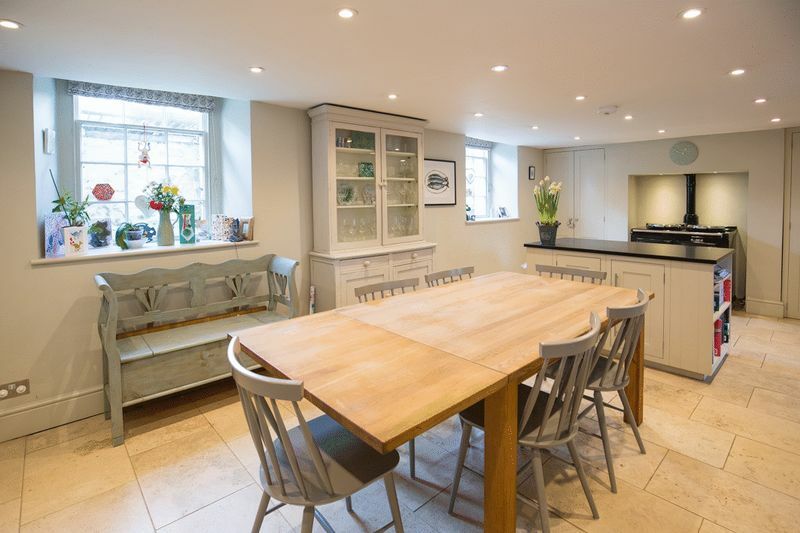 Large kitchen/dining room with Aga and conventional oven. 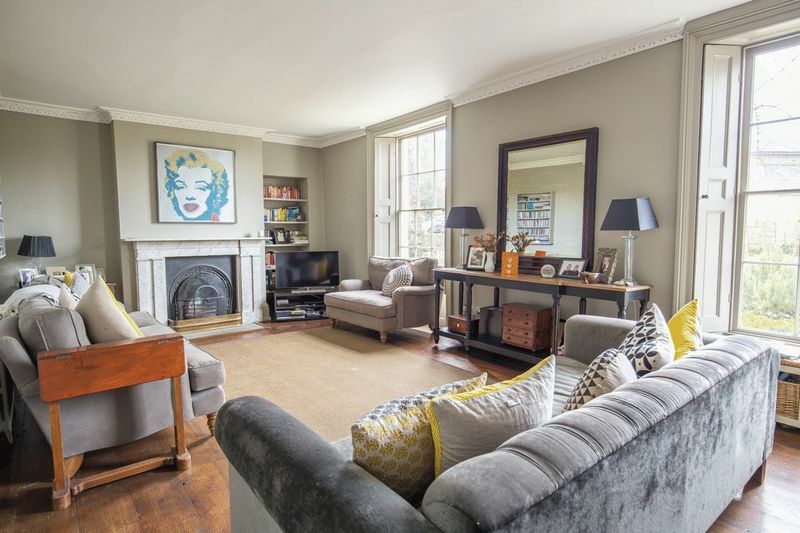 An elegant 4/5 bedroom, Grade II listed house which is the end terrace of a building that was once a school run by Christina Rossetti; the famous Pre-Raphaelite poet. 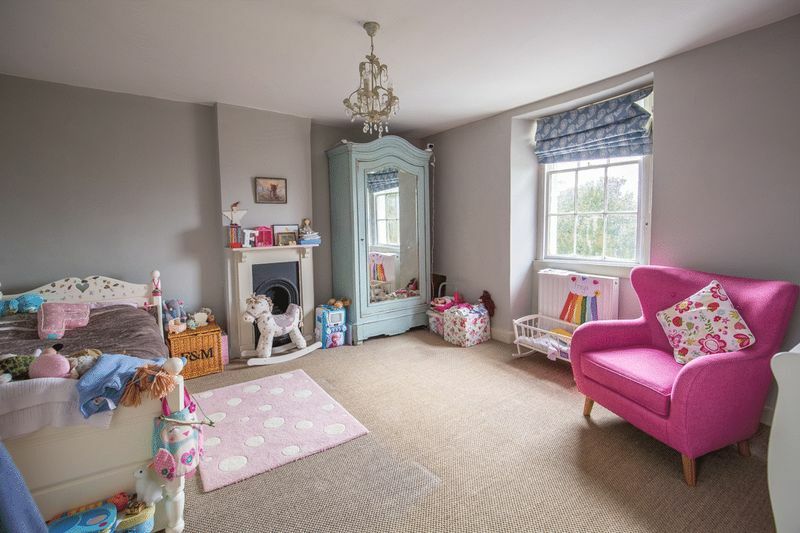 This light filled house has very generous rooms that have been tastefully decorated to blend with the numerous period features such as shuttered windows, period fireplaces, wood flooring and an open fire. 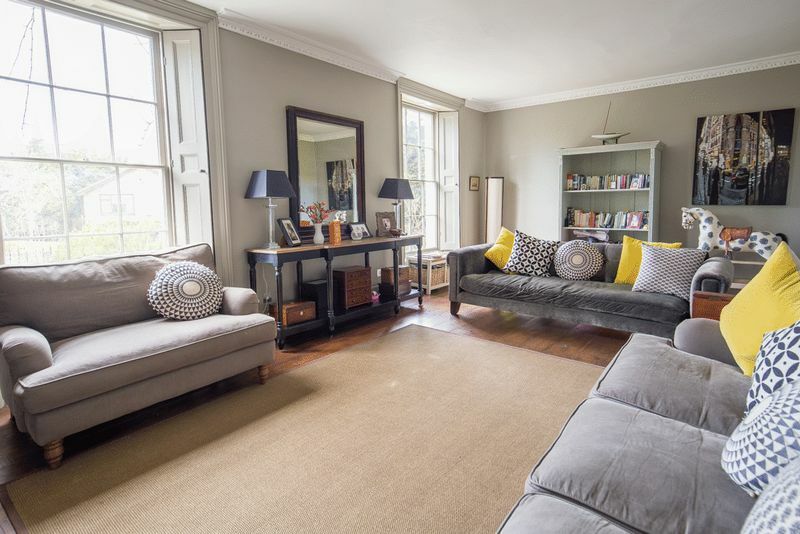 The stunning drawing room is on the ground floor and has very large windows that over look a neighbouring garden on the opposite side of the road, so although in the centre of town, it has an open aspect. 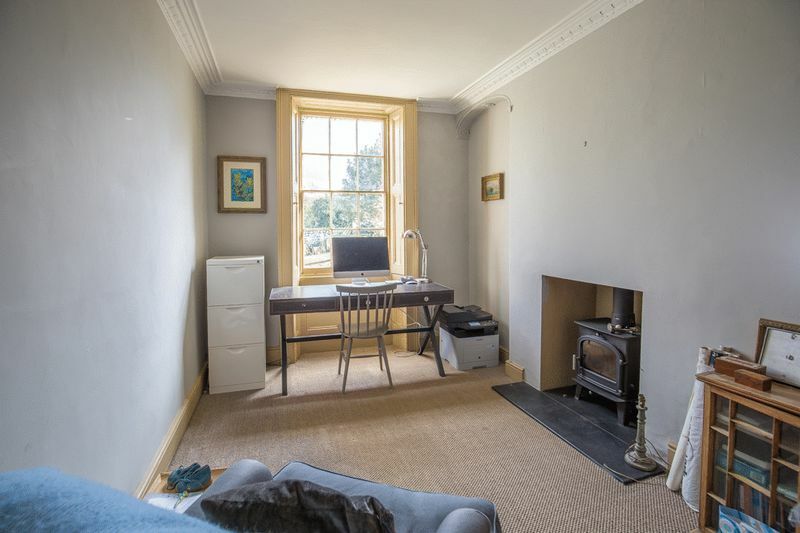 Also on this floor is a snug room/study with a wood burner. 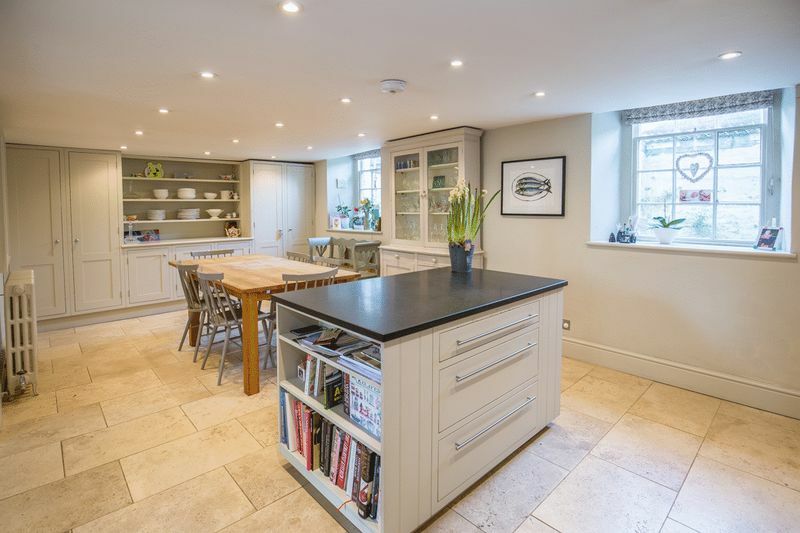 Below this on the lower ground floor is a large kitchen /dining room with a separate area for the sink, cooker (there is also an AGA) and worktops. 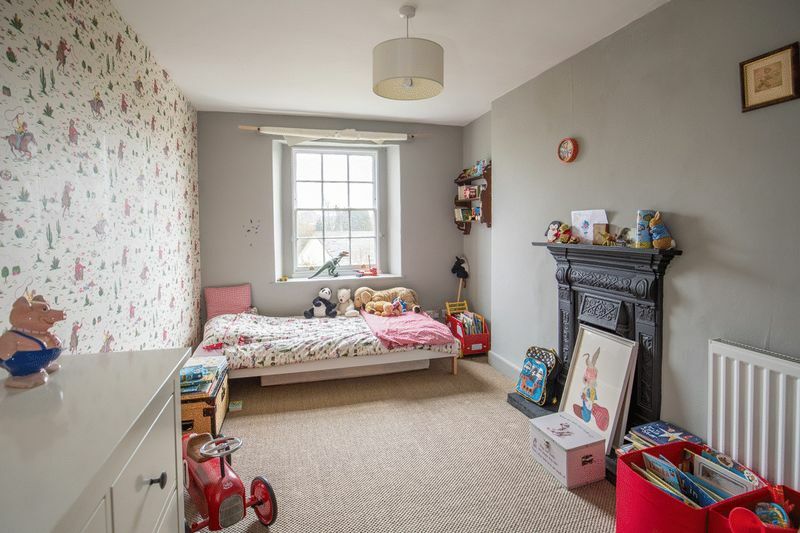 This room has plenty of windows and is flooded with light. 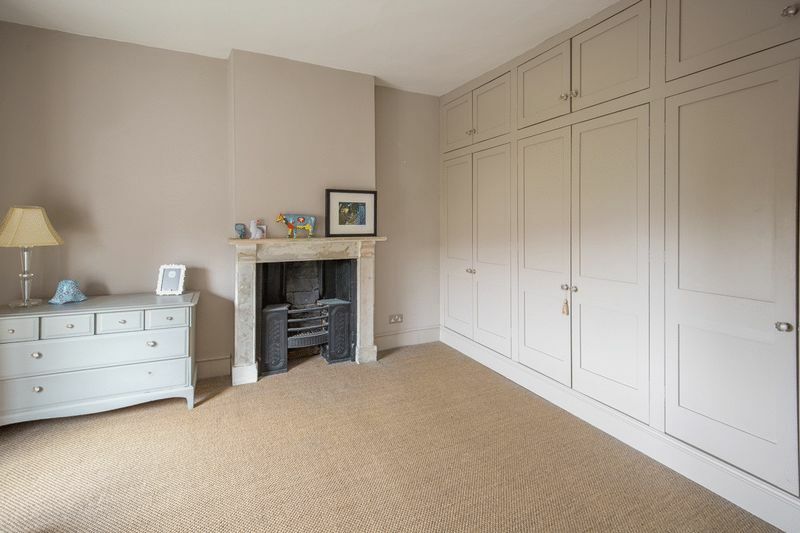 The lower ground floor also has a cloakroom with WC and a washing machine in a bespoke cupboard. 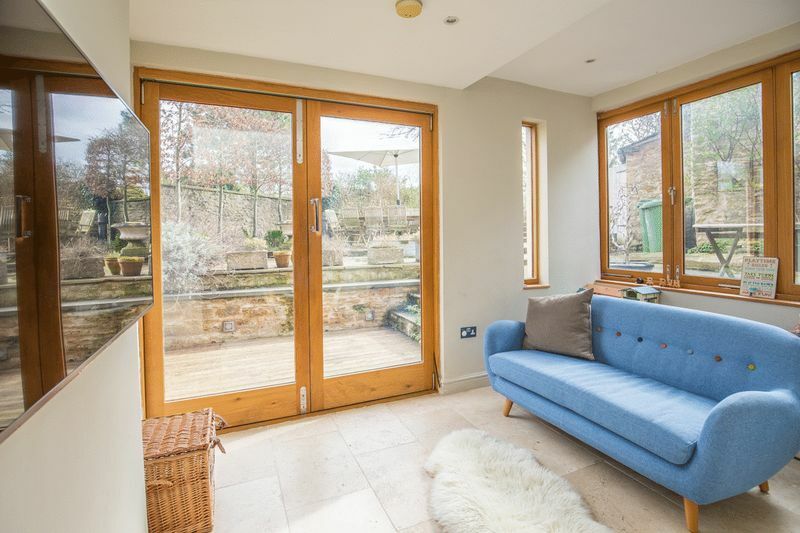 A few stairs lead from the kitchen into the garden room with a large bi-fold window and double-glazed doors that lead to a terraced area with stone seating and built in garden lighting. This terrace leads onto a bigger paved area for outdoor dining. 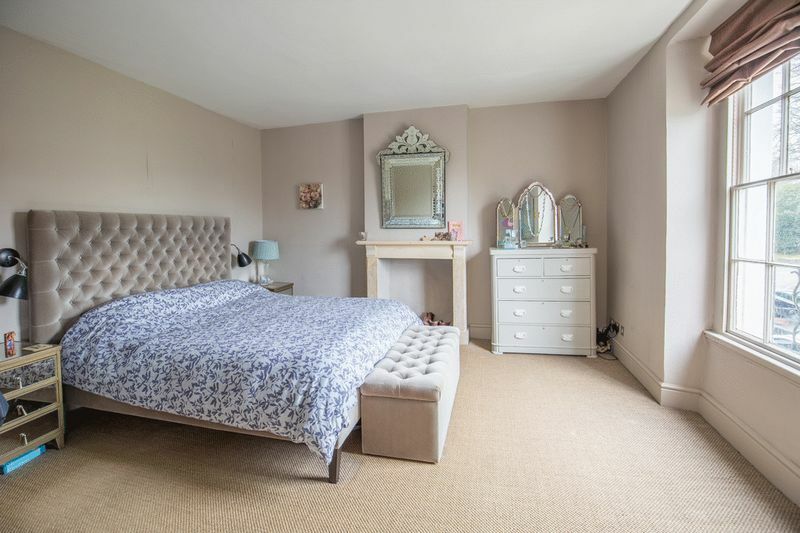 The first floor has a very decadent large master bedroom that leads into a similarly large dressing room that could (with relevant permissions) be converted back to a 5th bedroom if required. 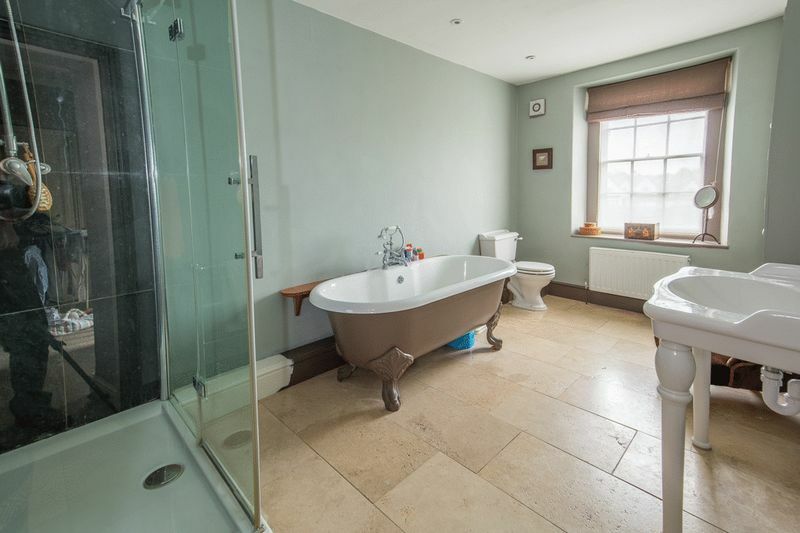 On this floor there is also the large family bathroom with modern, but period style bath, sink and WC and large shower enclosure. There is also a small utility room on this floor for washing machines. 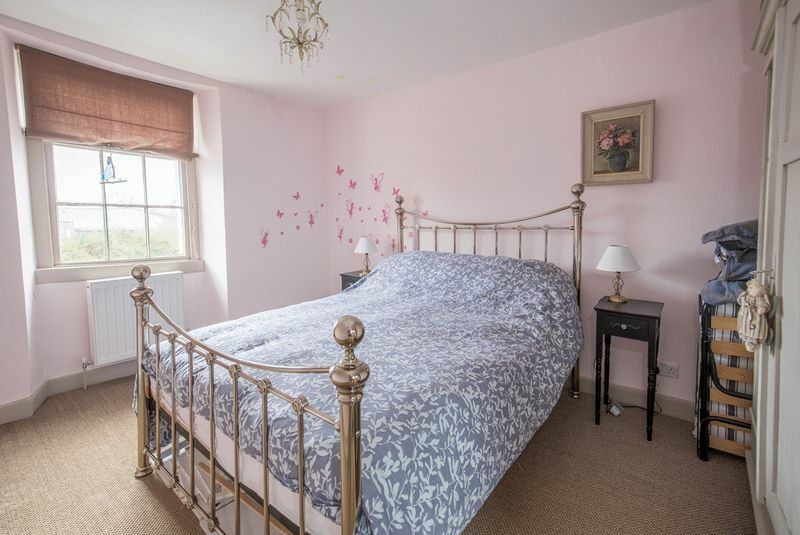 On the second floor there are three good-sized double rooms and a WC. The skylights make this a light filled area. 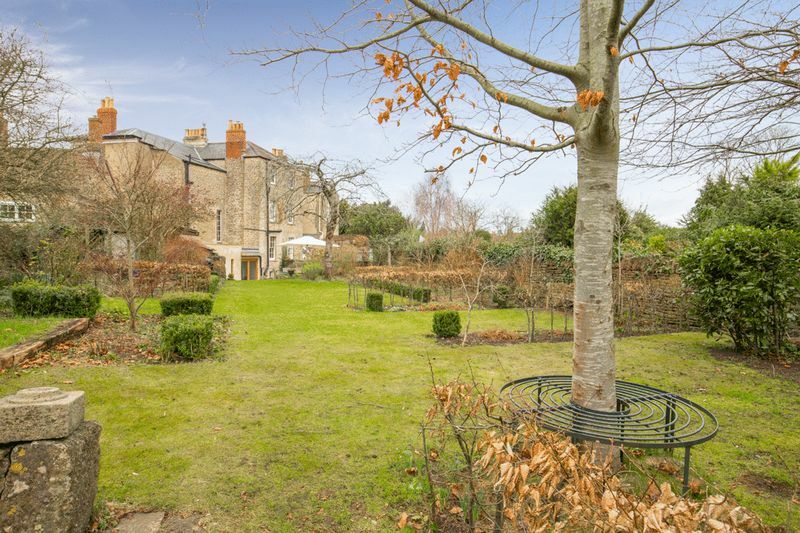 The two terraced areas are close to the house, then the main garden, which is approx. 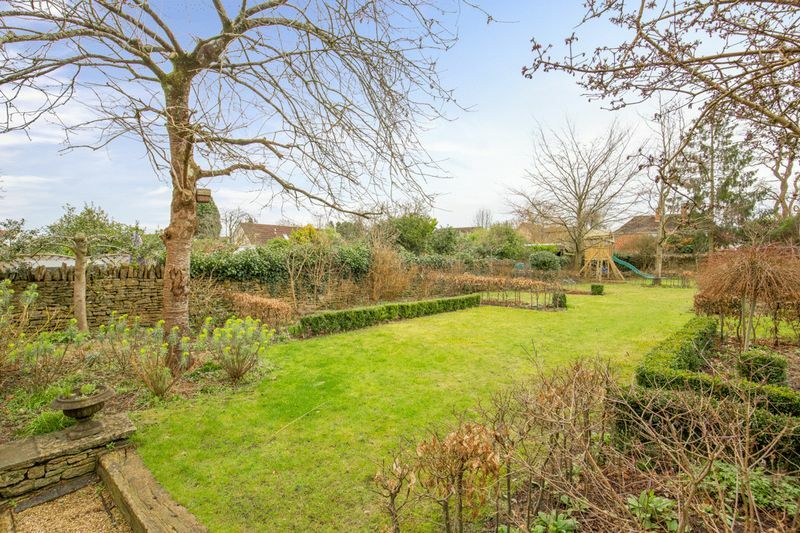 100ft long kinks off to the right and is unusually not overlooked for a town garden. 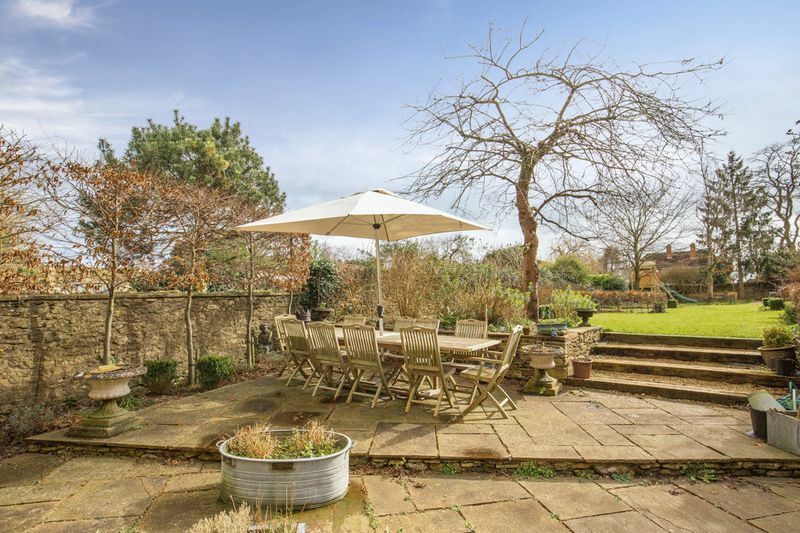 This garden has been professionally landscaped and is a particularly good feature of the property with its areas of shrubs, lawn, mature trees, raised vegetable beds, children’s play area all set in a walled garden and organized in neat hedged areas. A further benefit is the outbuilding with power and light and the off road parking space. Frome is a historic market town with many notable buildings and features the highest number of listed buildings in Somerset. 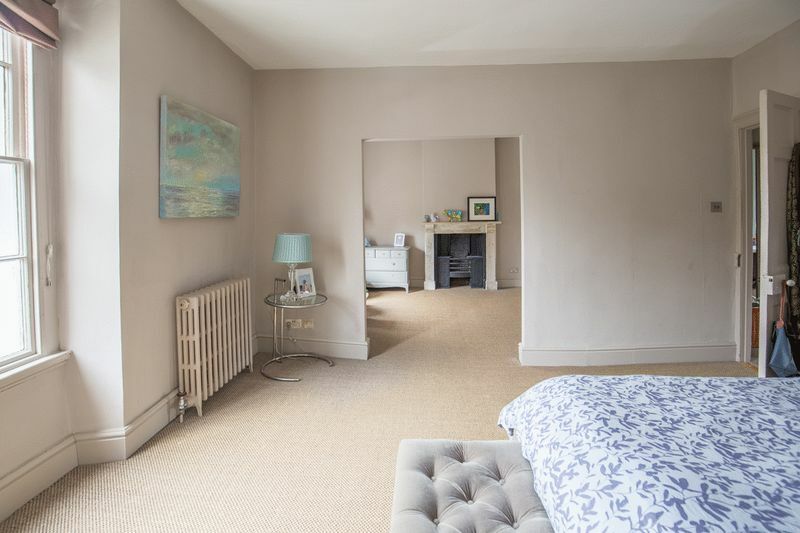 Brunswick House lies near the centre and within easy walking distance of a range of excellent independent shops, cafes, Pubs and restaurants. This historic Town is also popular for its artisan street markets and festival and cultural events. There is a sports centre, and a cinema. Babington House private members club which offers a wide range of leisure and recreational facilities is just 1.5miles. 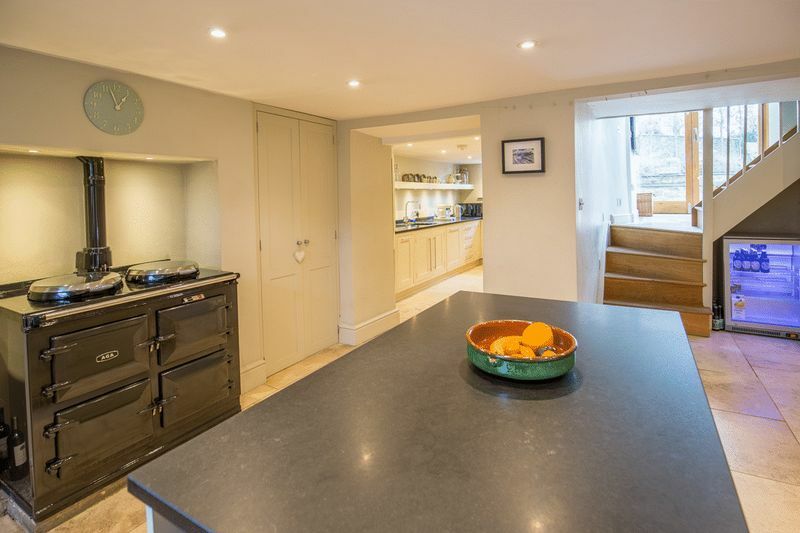 Frome station is within walking distance, which offers high speed rail links to London Paddington and London Waterloo, whilst the A303 (M3) provides good road access to London and the wider motorway network, in addition to the A36, M4 and M5 all being within easy reach. Bruton 10 miles, Westbury 9 miles, Bath 16 miles, Bristol 24 miles (All distances are approximate). 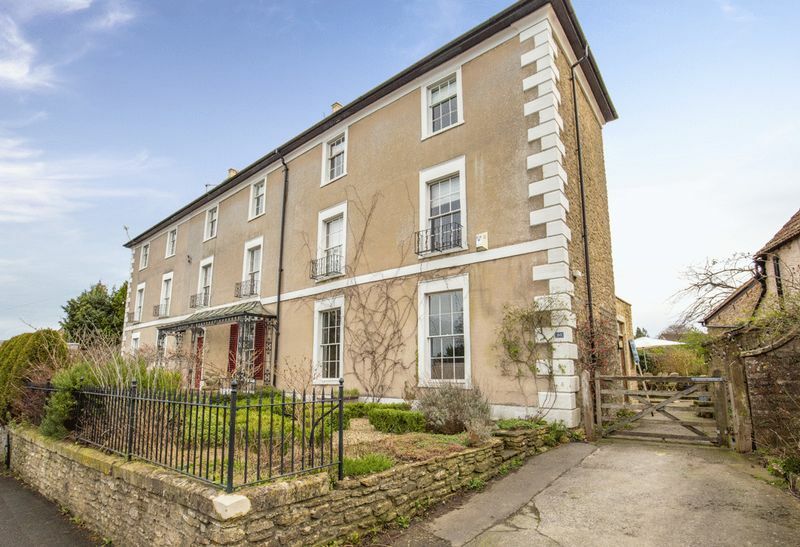 Frome offers plenty of good state schools including the well-known Steiner Academy and there are several independent schools within an easy drive. From the centre of town heading north over the bridge, Brunswick House (also known as 33 Fromefield) can be found on the right hand side just under a mile from the bridge and before the junction with Rodden road. In accordance with the Consumer Protection from Unfair Trading Regulations 2008. 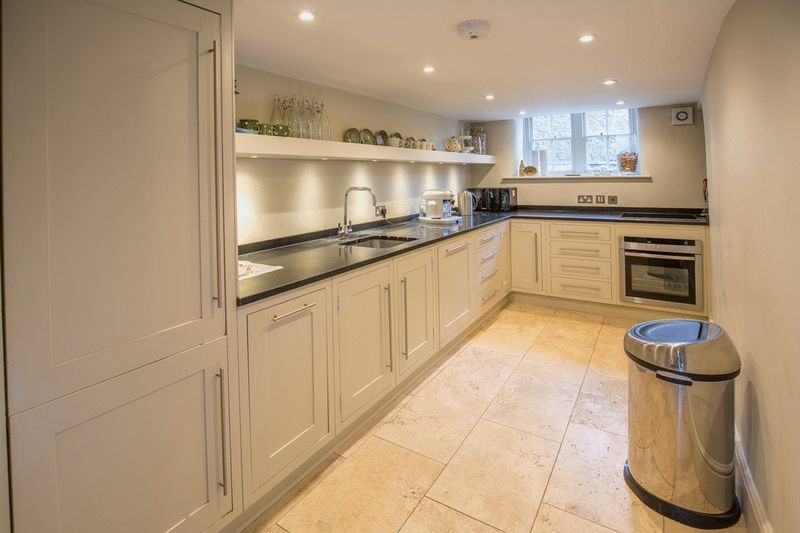 The information provided by Lodestone in these property details are to the best of our knowledge and are as accurate as possible.